At the beginning of 2012 I was feeling a little bit nervous about the year ahead so I wrote my first annual general review. I’d just left the security of a permanent job to become a full-time freelancer and I didn’t know how things would work out. I hoped looking back would give me some confidence. This year it’s different; I’m beginning the year with warmth. 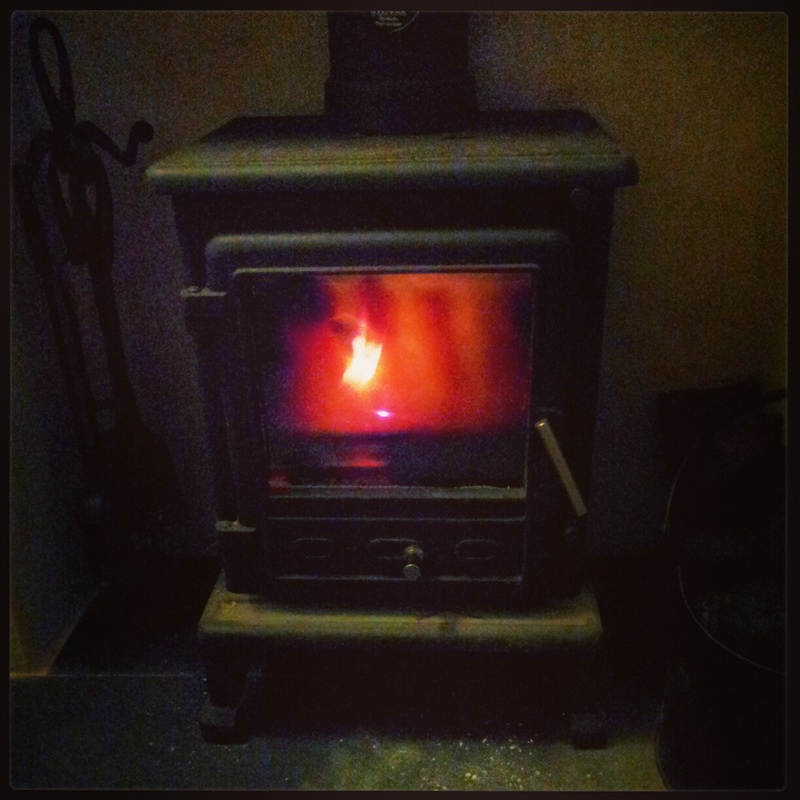 Quite literally – there’s a wood burning stove crackling away beside me. It’s new and I love it. I don’t have central heating so I’ve spent the last five winters feeling a little cold. Now, at last! I can afford to be a bit warmer. I’m beginning 2013 with an inner warmth too. Perhaps it’s an assurance that things do work out when you step out in faith. Or a warmth that says it’s worth making sacrifices to pursue the things you really feel called to do. I’m not long back from Kidscreen in New York. It’s a big children’s TV market (I wrote about it here) full of people from all over the world with ideas. They‘re there because they want to make something beautiful and something they believe in. 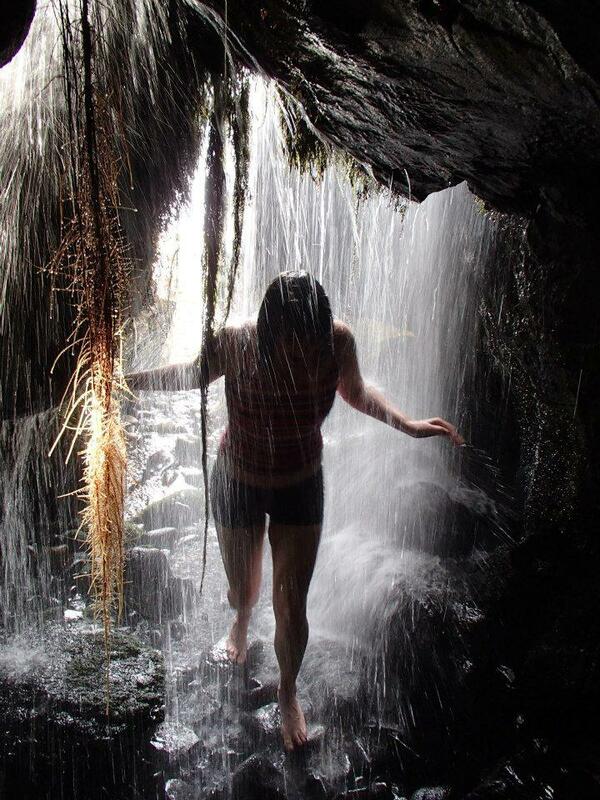 It reminded me that life really is too short not to go for it! And now to look back over 2012, here are my highlights. Click on the links to read more. Training after school club leaders and youth workers to become Crafty Storytellers in collaboration with educator Jaimie McDonald. Greener Leith Zero Waste Podcast series (12 ten minute podcasts to engage people to reduce waste – I finished the last of these in 2012). 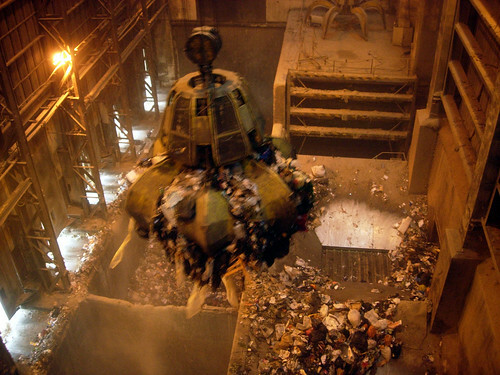 Funded by the Waste Action Grant. I was almost physically sick before my first comedy performance. I was so nervous but I actually really enjoyed it once we got started -the audience were fab. Here’s a Chris Scott photo to prove I really did it (thanks Chris). Find previous and upcoming gigs here. Cycled down Leith Walk with camera attached to my bike basket to make an Indiana Jones style adventure film about the terrible potholes. 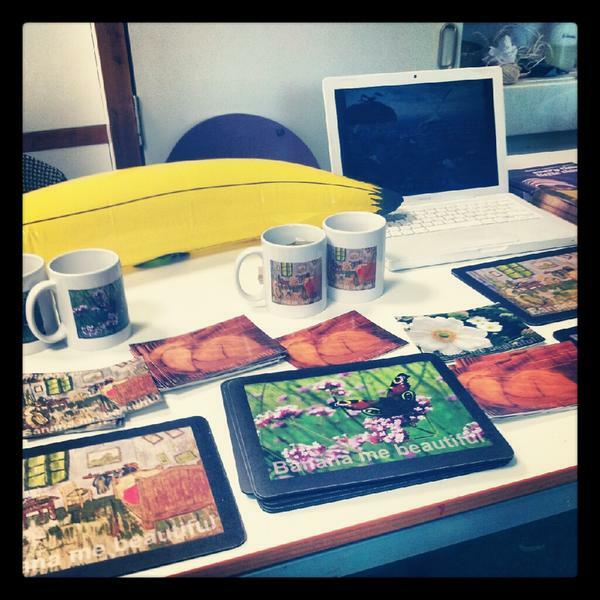 Wrote my last blog for Greener Leith in August 2012 after 2 years of volunteering (70 blogs in total!). Wrote my first stop frame animation script as part of a call for submissions on the theme of ‘The Library at Night’. It was selected to be performed at the Portobello Book Festival Opening Event. I was one of 12 writers to be selected to take part in the CBBC Lab, a competitive entry training course on how to write for CBBC run over 4 days by the Scottish Book Trust and BBC Scotland. It was brilliant. This is just to point out I’m definitely not successful at everything. There are plenty of things I hope for but I keep learning and trying. I applied for 2 residences before I got the one I’m doing now at the library but this one is just perfect for me so it goes to show things often work out for the best in the end. Elspeth Murray, a wonderful freelance poet. My poetry mentor and friend. Josh Selig, creative genius and President of Little Airplane Productions. Encourager. Sara Harkins, Head of BBC Scotland Children’s. Sara is wonderful. I want to thank the people above as well as everyone I’ve worked with in 2012. Also to my friends and family and to everyone who’s supported me on this journey – you’ve been amazing! The good news is I’m booked up with commissions and projects until early September. So far I’ve completed my tax return, got a stove put in and I’ve been to New York to pitch some kids’ TV shows for Visible Ink Television. 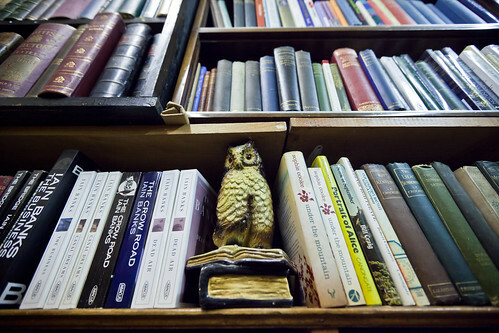 I’m working 2.5 days a week at Leith Library as Reader in Residence. Over the next few months I’ll be writing the Leith Library blog and working with teenagers to make podcasts about young adult fiction. I’ll also be supporting the library staff as they get blogging too. Starting a series of science related young adult novels; I have 13 planned. Writing picture books. I showed drafts of a science series idea to Agent Lucy Juckes in 2012 so I’ll work on her suggestions. Cycling around Scottish Libraries on a ‘Banana Me Beautiful on a Bike’ book tour. My paperback should be out by then and I’d like to go on a journey and help to promote positive mental health. 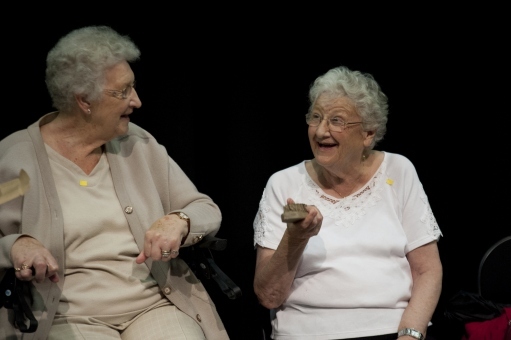 I start working as a digital storyteller with older people in Govan for the Britain from Above Project – can’t wait for that! I’m writing some episodes on commission for CBeebies (that’s secret – will blog about it when I can). I’m visiting Flora Stevenson Primary P1 classes for their Book Week – hurrah for children! I’m working for Third Sector Lab to create audio and video content and run a training session for the 2013 Poverty Assembly. Ross is brilliant, looking forward to working with him again and on something so worthwhile. I’m working with P6 and P7 in Mid Lothian to help them to create Haikus for their litter bins (for the Scottish Poetry Library). I’m developing and pitching some ideas to promote fish in nurseries on commission from Seafish (the fishing industry) with writer John Stoddart. And I’m working at the library – I love it! So as you can see it’s pretty busy. I’m looking forward to working with Elspeth Murray at the Solas Festival in June and with artist Alastair Cook on the Dunbar North Lights Arts Project in August. One of my best friends gets married in September, so can’t wait for that (and I need to organise a hen do). I’m hoping to do the Great North Swim in the Lake District in June with my friend Judith. I hate wearing a swimming costume and I figured training will force me to overcome that fear. 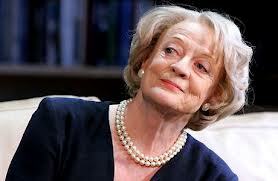 Plus I’ve never been to the Lake District and I like Judith. I also ate too much chocolate over Christmas. And exercise helps with creativity. I’m trying to talk myself into this! 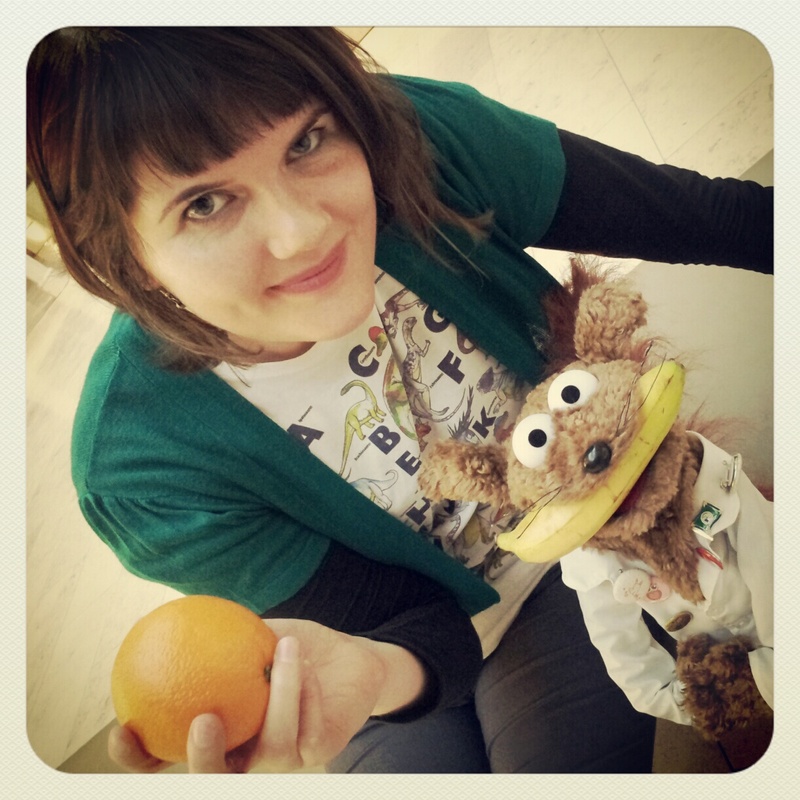 I’ve written four children’s TV science shows so I’ll be pitching them to channels and independent production companies in 2013. I’ve especially enjoyed working with puppeteer Josh Elwell (and Bounce) on one of these shows so I do hope we make it! to have an ideas box that I add to throughout the year. to make one day a week my day for writing. to write a list of things I’m thankful for every night. I don’t want to EVER stop doing things that scare me. I’d like to write an episode of Doctor Who and a bunch of books and some screenplays. I’d like to live in an eco home in the mountains with a cat and a man and perhaps some kids. Finally a few numbers from 2012…. Blog posts on this blog (40), Blog posts produced for Leith Library (30), blog posts produced for Greener Leith (8), Dog Poo and Litter Films made (6), guest blogs I wrote (4), Cocktail naming competitions won (1) and I attended 4 weddings and a funeral. Read my annual general review of 2011 here. A writer answers ten questions about an upcoming publication and they tag five more writers. Each of these writers answers the ten questions by the following week and they recommend five more writers. It grows, week by week. Before I get to my post I’d like to point out that Roy Gill is ace. He’s an inspiring and talented writer and the best person I’ve found at any literary event to talk to about Doctor Who. 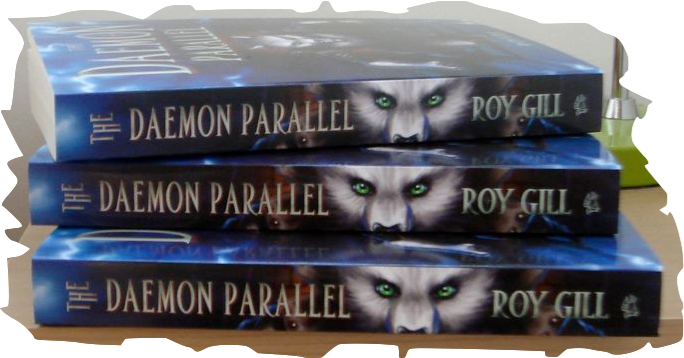 I recommend his new young adult book The Deamon Parallel. You can read all about it on his post here. Now, onward. I’ll answer ten questions about Banana Me Beautiful. The e-book came out last year through Chipmunka Press but the paperback is due out for Christmas so it still counts as new. I sent three children’s stories to mental health publisher, Chipmunka. The stories were going down well in schools and I wanted to get them published to help children and teachers to promote dialogue around positive mental health through story. Chipmunka asked me about my experience with mental health and I explained a bit about my past and sent them a few poems as part of that explanation. They liked them and asked for 50. I said I didn’t have 50 good ones and so they asked for 30. I hadn’t really planned to write a poetry book so I was a bit taken aback! Then I remembered a conversation I’d had with a close friend a year or so before where I told her I wanted to put together a collection of poetry I’d written as a child, teenager and adult. I realised this was my chance. I was first published when I was 10 so I’d kept all the poems I wrote back then. I was so bad at spelling though – I’d given up the dream of being a writer by the time I’d got to secondary school. I ended up focusing on art and science instead. I still wrote but in secret. I wrote lots. I also painted depressed bananas – they’re in the book too. 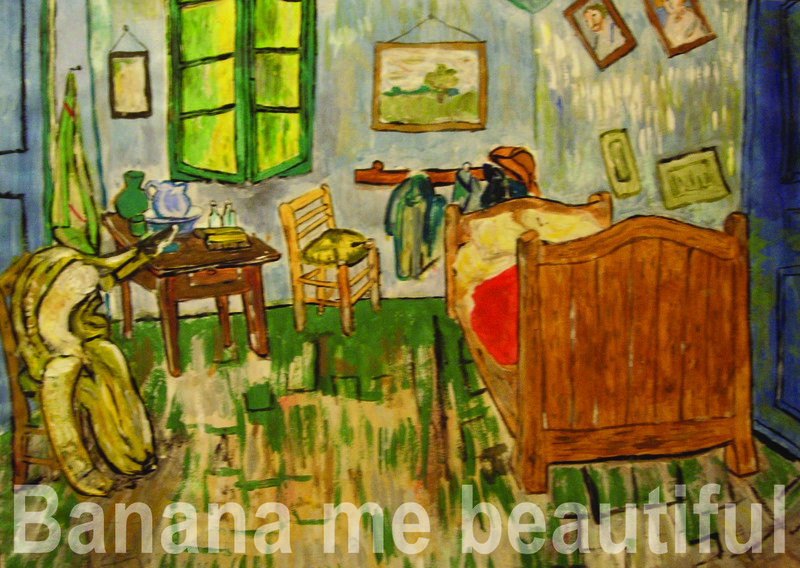 The one above is Van Gogh’s Bedroom at Arles with a depressed banana on the chair. The one below is a depressed banana in prison (imagine a person sat on the floor, sideways on and with their knees bent). It’s poetry with added stories, songs, artwork and photographs. Hmm. I’m not sure anyone would want to make ‘My Life In Poetry’ the movie. 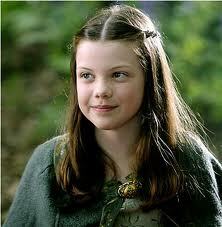 But if they did… me as a child would be Lucy from the Narnia films (Georgie Henley). 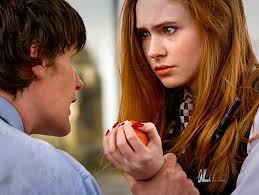 Me as a teenager, Aimee Pond from Doctor Who (Karen Gillan). Feeling a bit embarrassed about this question, was just getting carried away and wondering if Maggie Smith could play me as a Granny! A journey of poetry, art and photography. It’s published by Chipmunka Press, the world’s leading mental health publisher. I’ve been working with a couple of agents but not on this. I started when I was 10, I finished at 28 so that’s 18 years. I don’t know of any other poetry collection that contains work from the same author as a child, teenager and adult but Peggy Hughes compared me to Edward Lear, Dr Seuss and A. A. Milne when I appeared at the West Port Book Festival. I think it was always in me. But more recently I wanted to share something of my struggles as a teenager to help others not to feel alone and to talk about difficult things. The things I’ve written as an adult are a celebration. They’re about self acceptance and they highlight the wonder I see in the world around me. People who’ve seen me perform have said some lovely things – that my work is life-affirming and an expression of joy. It makes them feel good about themselves. If I can do that even a tiny bit then I’m happy. It’s a journey by poetry, art and photography. It’s a journey of ages and stages. It’s a journey from Banana Slug to Beautiful Bug. So the combination of media. Also the art science cross over. There are poems about puffins and the physics behind starlings. There are energy saving lightbulbs, a comedy horse songs and a story of a little oak becoming a mighty tree. Hopefully there’s something for everyone. 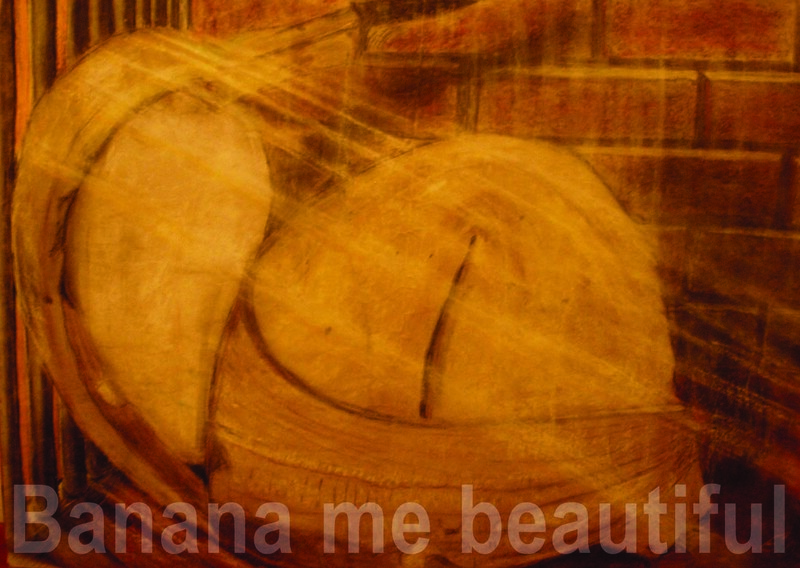 Find out more on the Banana Me Beautiful facebook page here. I’m super excited to introduce you to these writers. They will tell you about their new projects on their blogs next week (drum roll please)…. David Bishop is writing a Swedish comic (super-exciting!). I know him as a fellow CBeebies screenwriter, and he’s also a screenwriter for Doctors and a lecturer and many other things. Marianne Paget keeps winning competitions and her latest triumph was being selected for the Scottish Book Trust and BBC My Favourite Place anthology. Marianne and I have been in a writers group together for over a year now and we first met through CBeebies. Max Scratchmann is about to launch his autobiographical book The Last Burrah Sahibs. I just met Max last month at Portobello Book Festival but I thought his book sounded really interesting and I’d like to know more. Marianne Wheelaghan has just launched a new crime thriller Food of Ghosts. I’ve known Marianne as a fellow Leither on twitter for a long time but recently got to know her better at a social media training session I was running at Stockbridge Library. Sharon Meiring-Jones is a brilliant writer, currently working on her second book. She used to live in Edinburgh and we were in a writers group together for a couple of years. Sharon was published through Chipmunka and that’s how I heard about them. So if it wasn’t for Sharon I’d not be writing this post! Click everyone’s name to be taken to their blog. Today I met Scotland’s National Poet, Liz Lochhead. We were performing at a Lapidus event at Kelvingrove Art Gallery as part of the Scottish Mental and Arts Film Festival. I thanked her and gave her some postcards of the depressed bananas. Not long after that she took to the stage to close the event. Do something creative and allow yourself to be bad at it…. Liz showed us her sketch book and explained she wasn’t good at drawing but she loves doing it. When Liz draws it helps her to find the words and solutions she needs for her poems. You need more than one creative outlet. If you’re not a professional writer then you have an advantage – you can write things without people expecting them to be good. If Liz writes people demand it’s good. When she draws there’s no pressure. If you’re feeling depressed don’t write about your feelings, write about something else and the feelings will come through anyway..
Liz observed that we’re told so often to write about our feelings but actually, if we’re feeling down then we should write about other things. It’s much better to take the focus off ourselves and our feelings will always come through what we write anyway. I totally agree with that. It’s good to get feelings out on paper just to understand them better but if you’re looking to shift your mood then writing about something else is the way forward. Recently I wrote a poem about maths. It ended up saying so much of what I’ve been wanting to say but in a simple form and with a structure that wrote itself. My feelings came out without me trying to write about them – I was writing about maths. So Liz was right. What do you think? Me: I’m doing a spoken word gig on Monday at the Blind Poet if you happen to be about? Friend: What is spoken word? Me: Yeah, there’s a really active spoken word scene in Edinburgh. Friend: So do people read poems they’ve written or do they remember them? Friend: Do you read your poems or do you remember them? Friend: Featured poet, so what does that mean? Me: Well I have a twenty minute slot. I get paid. The featured poet is meant to be really good (I don’t make eye contact). Last month they were on tour from Berlin. This month it’s me. Friend: I’m sure you’ll be grand, my wife’s got an exam the next day so I won’t be doing anything, I should be able to make it. Blind Poet Right? Spoken word (smiles, nods). Thinking about it, I have friends who’ve never been to any of my gigs or any spoken word gig ever. For some of them, the idea of a night out watching someone perform poetry sounds at best dull and at worst, embarrassing. For those people and for anyone else who’s not heard of or been to a spoken word gig, I wanted to try to explain a bit about what spoken word is and what I love about it. That’s a bit about why I love about watching spoken word but what’s it like on the other side of the microphone, what’s it like to perform? It’s not all good, I feel physically sick before a spoken word gig. Once I’m performing I’m fine. I like to involve the audience, I love chatting to them, for me it’s about connecting, sharing and having fun together. I know spoken word artists who feel energized when they perform, for me it’s the opposite. I feel totally drained afterwards, I’ve given a part of myself and it takes me a day to recover. I love to get feedback, especially from people I don’t know and I’m always really encouraged by it and glad I performed (despite dreading the gig beforehand and wondering why in the world I’d agreed to it). TenRed: Ten Poets perform ten minuets each at the Persevere Bar, Leith. Poets invited to perform in advance by host Kevin Cadwallinder. Cosy back room atmosphere. Check out the facebook page. Inky Fingers:: Monthly writers group, monthly open mic and a whole host of brilliant special events. Check out their blog, twitter or facebook group for details. Neu Reekie: Monthly meeting of avant-garde poetry-music-film fusions. Last Friday of the month at the Scottish Book Trust. 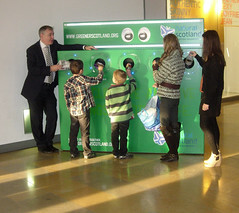 Supported by Creative Scotland. Check out their blog, twitter or facebook page. Blind Poetics: Monthly spoken word and performance, first Monday of the Month at the Blind Poet, Newington. Includes 5 min open Mic Slots, introducing slot and featured poet. Big bar, always packed out and a variety of levels of experience. Check out their facebook page. 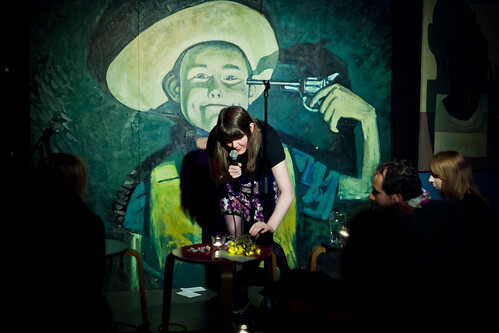 Illicit Ink: Themed Spoken Word events with food treats and funky badges. Regular events are prose but after a successful ‘happy verse night’ more spoken word events will follow. Check out their website, facebook and twitter. If you’d like to hear some of my poetry here’s an audio clip of Starling My Darling, a poem about starlings and physics. If you want something longer there’s a 45 minute podcast of my Author Talk at the West Port Book Festival. I’m the featured performer for child themed poetry event for adults (fundraiser for Theater Paradok) at a new bookshop in Edinburgh, Looking Glass Books on Friday 13th July. Hope to see you there, it’s called Pea Green Poetry. Check out the ‘gigs‘ page on this blog for more info. 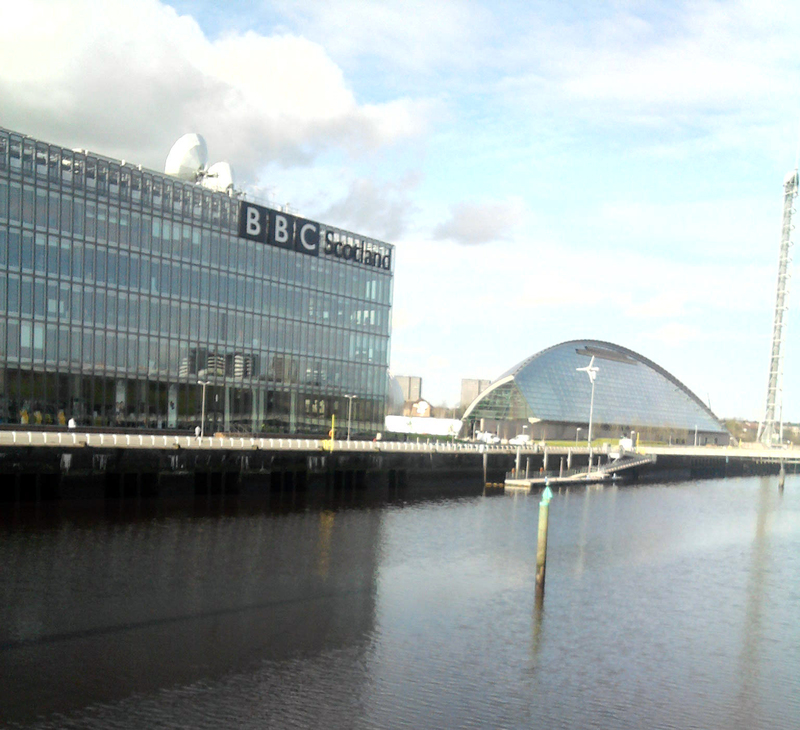 I started a new job at BBC Children’s Scotland last Friday. I’ve been commissioned to develop some new science programmes after pitching a science related idea during the Scottish Book Trust CBBC Lab. This is an exciting new step for me. I’ll be working in Children’s Development until the beginning of May. It wasn’t too long ago I blogged about missing science. 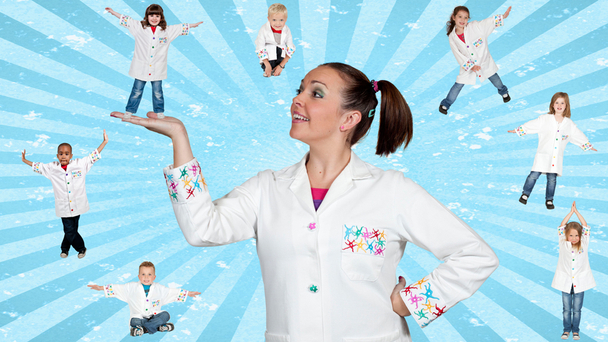 I’m delighted to be working on CBeebies science projects. Since the projects I’m involved in are in development I can’t tell you about them, sorry. I owe a big thank you to BBC Children’s Scotland the Scottish Book Trust for training me to write for CBeebies and CBBC in their writer development labs. If you want to find out more Anita Gallo wrote a lovely piece about the recent CBBC Lab we both attended on the Scottish Book Trust Blog. I’ve a few performances coming up, it would be lovely to see you there! Just click on the links for more info. June 11th: Blind Poetics at the Blind Poet: Massively chuffed to have been asked to headline this, I’m doing a 20 minute performance poetry slot, yikes! June 13th: TenRed Spoken Word at the Persevere, Leith Ten poets, 10 minutes each, should be fun! If you’re a West Lothian Primary or Early Years Teacher I’m running storytelling training on the 11th May, you can book it through the Council CPD. If you’re part of the Lothian Association of Youth Clubs I’m running Crafty Storytelling training on the 23rd June, book it through their website. 2011 was a roller coaster. It began with a freezing cold jump into the Firth of Forth and ended with my 30th birthday. 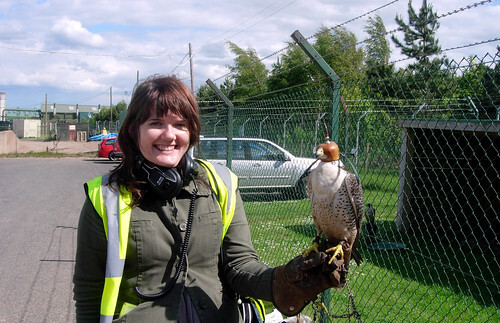 In between I published my first book, wrote and presented a CBeebies pilot, appeared in a fringe show, performed at my first book festival, won a couple of awards and near the end of the year I resigned from my job to become a full-time freelancer. I’ve done things I never imagined I could do and I’ve felt like a passenger holding on for dear life. It’s been exciting, it’s been scary and it’s been hard. At times I know I’ve forgotten to enjoy the ride. I’ve struggled with finances, relationships, self-confidence and health. I’ve spent most of the year outside my comfort zone but I’m learning that’s the best place to be. Right now I’m a little apprehensive about the year ahead so I’m reviewing 2011 in top fives, I hope this will help me to make new plans and look forward to 2012. If you want to find out a bit more just click on a link. The Zero Waste Podcast series began with the journey of waste, I travelled from bin to landfill (and retched). You can watch the live stream of my fringe show or listen to my West Port Book Festival event as a podcast, click on the links above for more. Thanks to Chris Scott who took the photo below at the West Port Book Festival. 5 close encounters of the animal kind..
I’ve been excited and nervous when people have wanted to interview me. Massive thanks to all of you – you’ve really encouraged me. Thanks to STV local and Edinburgh Reporter for additional interviews too. For the record I’ve never been called a ‘digital maven’ or appeared on an international poetry podcast or been filmed by the Guardian before so I’m still not quite sure how this all happened! Here’s the Guardian film, it’s a project where I designed ‘heroes at home’ engagement cards and masks to encourage pupils and parents to reduce waste. Snowboarding stopped when I flipped over and head butted an Italian mountain. The hospital was an experience “Un-dresse!” they commanded and I started taking my clothes off. “No what is your addressa!”. It’s funny now but I wasn’t laughing when I had to wear a neck brace. After four years of boarding, I’ve had enough. At least I had time to read and take these photos. I want to point out there were plenty of things that didn’t happen but it’s all part of learning and growing. I hope this will encourage you not to give up if you experience a knock-back. One exciting development is that I do now have a mentor but not through the Scottish Book Trust, it’s the wonderful Elspeth Murray! Finally here are a few more numbers from 2011…. 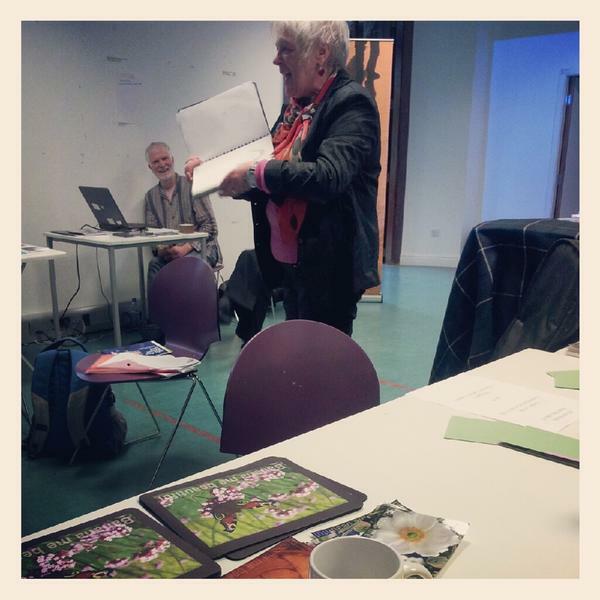 blog posts produced for Greener Leith (48), podcasts made (30), blog posts on this blog (26), films made as a freelancer (9), guest blogs I wrote (8), workshops on National Poetry Day (6), blogs I wrote about Mooncups, yikes! (5), Films I made for fun (3), Awards presented to schools (2), times I performed poetry on the street due to ‘venue problems’ (2) and I attended 4 weddings and a funeral. 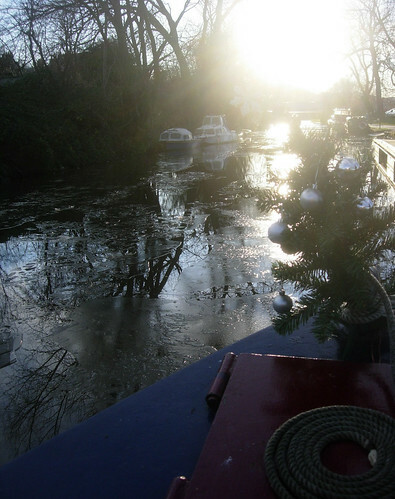 I spent the last two weekends hosting Christmas Crafts and Storytelling on the only canal boat cafe in Edinburgh, Zazou at Harrison Park. It was a little quieter than we had hoped, we didn’t have real life reindeer or a big wheel like Princes Street but we did have a boat, lots of sequins, excited children and snowmen made from socks! I was reminded how wonderfully uninhabited children are when it comes to creativity. 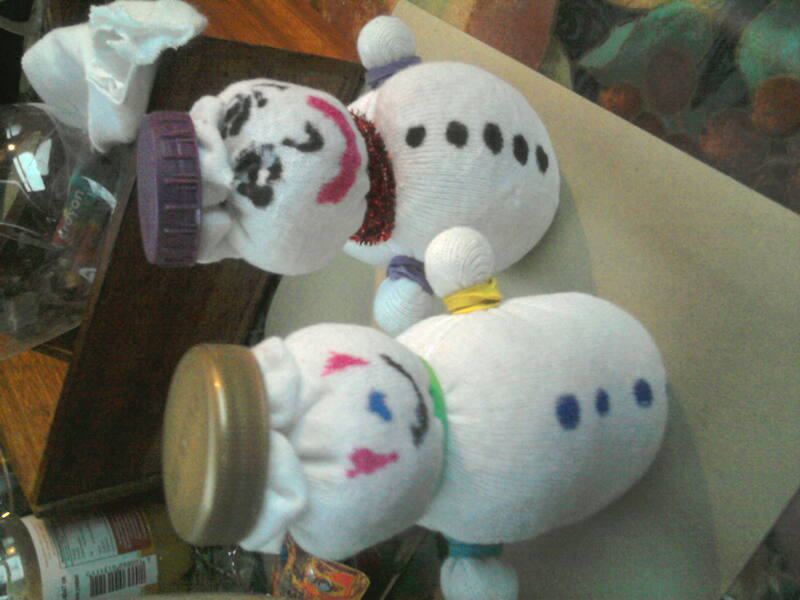 The younger they were, the more colourful and creative their sock snowmen became. I’d designed these snowmen to be really simple and easy to make but I hadn’t imagined all the different shapes, sizes and colours that transpired. They became so very individual, just like us. Parents asked their children questions like “what colour is a snowman’s mouth?” and the children would respond with their pen, wanting to get it right. 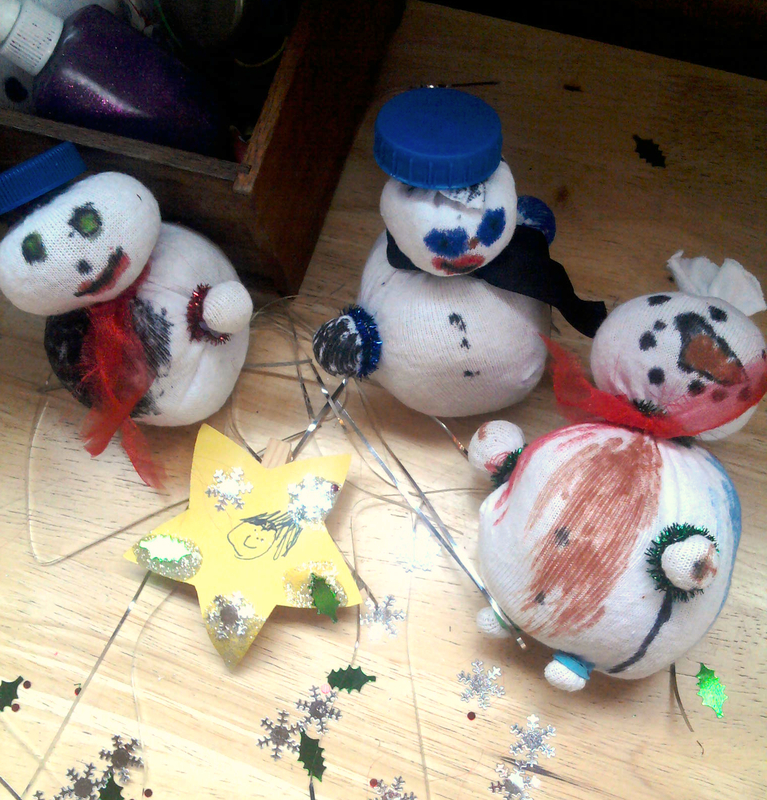 The younger children made their snowman’s mouth blue or orange and I love that. It’s their snowman, their new creation, it can be any colour they want. I believe we’re all are creative in some way or another, as we get older we often loose that element of risk and play it safe with our creativity. Children don’t have to be perfect, they’re expected to make a mess and they enjoy experimenting. It helped me to remember to enjoy experimenting and taking a risk. 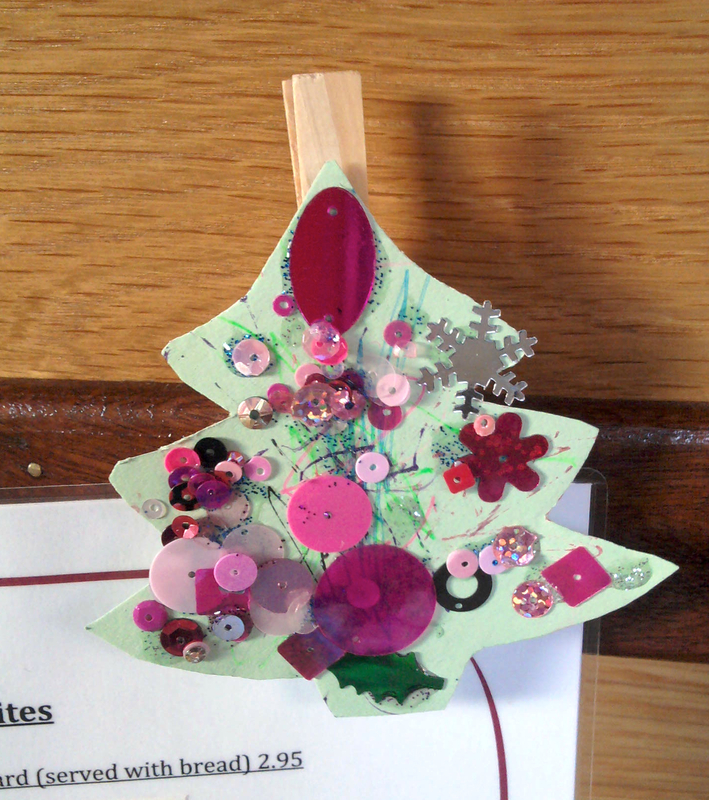 The children made peg fridge magnets too, I took photos on my phone both weekends and used twitter to share their crafty creations whenever I got a free moment. Most of them are in an album on the banana me beautiful facebook. Here are a few more of my favourites. This was to be a community event, crafts and stories, something for families, something to bring people together at Christmas, but we needed help to let people know it was happening. Steve, the boat manager wrote an article for the canalside magazine, they even added their own pictures. 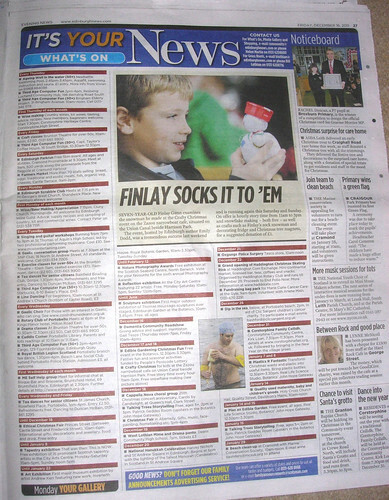 I wrote a press release which ended up in the Edinburgh Reporter, Edinburgh City of Literature and Innertube Map, masszive thanks to all of these organisations for helping. We asked the people who visited the boat how they’d heard about the event. One family had come because someone had posted it onto the Mum’s yoga group facebook page, several people had emails from the local food group, one lady said her Mum had heard about it on Princes Street, some were passing, several came from the kidding around Edinburgh facebook page and others from the links above. Dan from the Edinburgh Evening News boarded the boat to take a photo of Finlay and his snowman. Finlay had a great time with his Dad. Here’s the ‘What’s on Guide’ with a lovely write up too. I’d written the story especially for the event to be take place on the canal, it featured a forgetful swan and a singing squirrel. There were chances for everyone to participate, an adult was in charge of splashing (with real water), we all sang the song. Steve the boat owner woofed like a dog and made a big bang half way through the thunderstorm, at this point we were stamping our feet and drumming on our knees. I did a few small story groups, one or two families joined together and we had fun. A small girl said, “can we do that again?” as soon as we finished, her brother didn’t want to do it again, he couldn’t wait to spot the squirrel and the lightning tree from the story, he ran to the window and pressed his nose against the glass, “can we go and see the squirrel?, I want to see the squirrel!”. 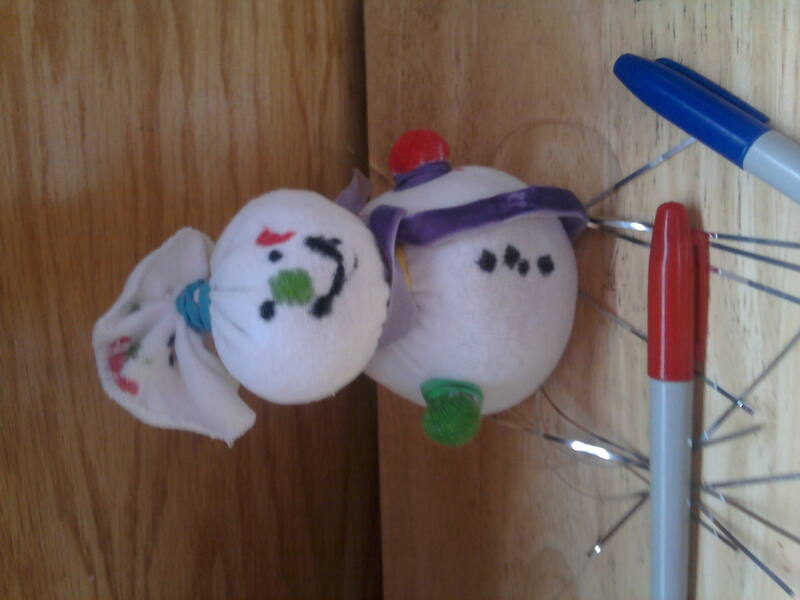 And so, even though I didn’t get to tell the story as many times as I hoped, I helped to make a lot of snowmen, angels, stars and Christmas trees. I had a brilliant time on the boat, thanks so much to Steve and to everyone else who helped support the event.